A modestly powerful earthquake was detected off the west coast of Vancouver Island late this afternoon. 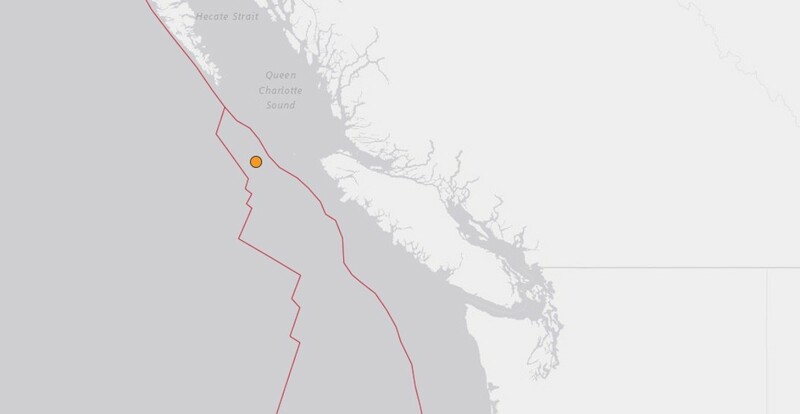 According to the US Geological Survey, the seismic event occurred at 4:02 pm PT and had a magnitude of 4.2, with a shallow depth of 10 km and an epicentre located 346 km west-northwest of Tofino – in an area on the Explorer Plate, between two major ocean fault lines. No damage can be expected given the earthquake’s magnitude and location. Thousands of earthquake occur in British Columbia every year, but only a small fraction have a magnitude of 3.0 and over.